Blurb Description: Sphinxie and Cadence. Promised to each other in childhood. Drawn together again as teens. Sphinxie is sweet, compassionate, and plain. Cadence is brilliant, charismatic. Damaged. And diseased. When they were kids, he scarred her with a knife. Now, as his illness progresses, he becomes increasingly demanding. She wants to be loyal--but fears for her life. Only the ultimate sacrifice will give this love an ending. My iPhone , my computer (where the magic happens! ), sunglasses (I have a legitimate addiction to these), lip balm (my favourite kind is mint-flavoured), and then lastly I'll count my collected journals as one thing. I've kept a journal since age 12 and they're extremely important to me. --High school or college: Can I say neither? I was homeschooled for my entire life and chose not to go to college in order to pursue my writing career. I think some people were skeptical when I told them my plans for my career, but I got long-listed for my publishing house's fiction competition only seven months later. --Sociopaths or psychopaths: As I understand it, psychopath is just another word for sociopath, so there's no decision to be made here! --Pasta or noodles: Either! As long as they're gluten-free, please. --Romance or Fantasy: Fantasy. I'm not at all fond of today's concept of romance in fiction. This is going to be such an odd answer because in a dream cast where anything was possible, most roles would be played by people who aren't even actors! Sphinx would be played by a girl I know, who doesn't know she was the inspiration for Sphinx's appearance in the novel. She could also possibly be played by Shailene Woodley, although that's really a stretch for me to try to imagine. 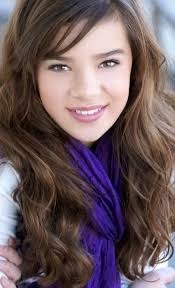 I've never seen any actor who looks quite like Cadence, so I don't think I'd be able to choose ahead of time. The right person would just have to come along. Sphinx's father is based off of my honorary sister Edie's father, and so would be played by him. Sphinx's mother is based on my own mother, but her appearance in my head is actually quite vague - I'd have to really think about what I'd want her actress to look like. Theme song: What Sarah Said by Death Cab For Cutie! Cadence and Sphinx's relationship was initially decided for them. Their mothers had this vision of their childrens' lives, and it included them being connected forever. However, in real life, Sphinx and Cadence are not beneficial to each other, and the devotion sown into them by their mothers turns into a danger. Cadence is a toxic friend if there ever was one, and Sphinx is impressionable and eager to please. Their friendship dynamic is definitely not something to be admired or desired in any conceivable way. It's an interesting thing to write about because while it's definitely so unhealthy, there is also beauty to be found in the way that they interact and in the way that Sphinx grows stronger and more independent as a result. I've tried to handle it all very delicately so that their beauty can be recognized without making a friendship like theirs seem like something a young reader should want for themselves. 5. Have you ever met a Cadence? How ever did you come up with him? This, I'm DYING to know! Cadence is not based on any particular person in my life! However, I certainly have met a "Cadence" - and you have too! It's impossible not to. After all, 1 in 24 people is a sociopath. As for my character of Cadence, he was born out of an interest in sociopathy and a desire to create a metaphor for my own struggles in life. The bullying, low self-esteem, and urges to end my life that I struggled with as a younger child are embodied in Cadence, who inflicts those struggles in many forms on Sphinx. --I would promise Cadence that I'd always remember him and his art. I think he'd appreciate that, in his own way. --I would encourage Sphinx to keep being strong and to know that she'd find purpose in life for herself and be happy. It's funny, one time I was actually at an dance aerobics class and I saw a woman in her mid-thirties, dancing a few feet away from me, and she looked just like what I'd imagine a grown-up Sphinx to be like. It actually gave me closure as the creator of Sphinx in a way. --I would tell Leigh that I knew she did the best she could with what she was given. --I would tell Sarah the exact same thing that I would tell Leigh! But then I'd add to her as an afterthought that she should hug Sphinx extra-tight. It was a day, just like any other, when Sarah Quinn’s life changed. She would later look at it as a phase, as would her daughter, the pre- Leigh phase and the post- Leigh phase. Or, more accurately, Sarah’s life before the plan. Under the dappled sun, inside a little tent, two seven year olds cooked up a plan that unwittingly took control of their lives. A little plan that showed them the path that they and their little miracles would walk on. The path to living the most perfect, idyllic, fairytale life they could imagine even then. And in the strangest way, it worked. Perhaps with a few detours along the way, but the bottom line remained the same. But then, not everything turns out the way we want it too, right? Promised to each other by their mothers when they were still dormant eggs inside of them, Sphinx and Cadence have lived their whole life under the illusion of the plan. Cadence shone like a star, brighter and bolder than anybody else. Extraordinary, was what he was, you could tell that just by looking at him. His eyes would shine, so bright and yet so cold, so unusual. Extraordinary was what he was, so much so, that he was broken. So unusual, that there was something wrong with him. So scary, that you couldn’t see it until he wanted you to. So dangerous, that you would think he was an angel. Years into the precarious future, a strange phone call alters Sphinx’s life again. Shocked back into the reality of what the one she looked up to did to her all that time ago, only to face the news that he is not going to be there anymore. You see, Cadence had used up all his fire to burn too fast, and now, he was on his descent down; his descent back to earth from the place he was. 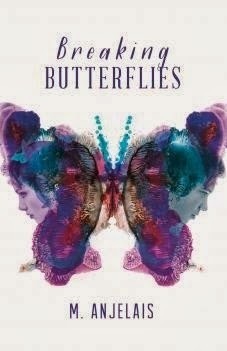 Poignant, beautiful, scary, haunting, bittersweet and SO addicting, Breaking Butterflies has marked me, left me with something I don’t think I will forget, ever. I’ve never, not once, felt what I felt while reading it. 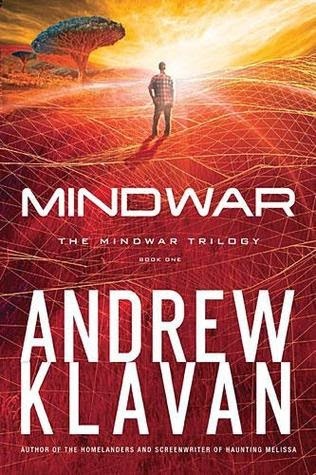 It shocked me, because it was not only was it something I’ve never read about before, but it wasn’t at all what I thought it would be, it was a hundred percent better. Cadence, I don’t even know what to say there. Even if you’re not there with him, Anjelais will make you feel like you are. You’ll feel scared, awed and downright shocked and mystified at this wonder of a character! As much as I liked, wait, LOVED this, I would have done the same so SO much more if it was done from his point of view, which would have been brilliant to execute. I’m still shocked. I read it a while ago- but the chills still remain. I don’t know what to say except- READ IT! Blurb Description: Europe? Nope. Mexico? Nope. Key West? Can I just start by saying- I LOVE the cover! It’s just super pretty- I know, I know, don’t judge a book be its cover and all but it’s just one of my flaws! The synopsis, I must say, put me a little off. The first time you read it, you think that the narrator and the guy she meets are total *excuse my language* asses. Which is why I was so pleasantly surprised when the characters in the book were NOTHING like them! Thea was strong, funny, pretty and most of all, realistic. I loved the way she was shown as someone headstrong, with her weak moments, brave but scared- everything, really, that made me like her! Shay, on the other hand, was simply BRILLIANT! He is sweet, smart and drool worthy! Moreover, he’s a ‘good’ guy. I’ve read loads on the bad boy that falls for the one girl with a) the tortured past or b) the innocent girl but Shay was different. SO, so, brilliantly different! While I was expecting something mediocre (think blurb once again) I got something spectacular. Goodbye to You was such a hard book to out down. I loved the way the author handled preventive cancer measures, and what losing your breasts really means. For all the TFIOS fans- and even for those who aren’t! Blurb Description: Lucretia's quiet life as an astronomer and hat-maker is quickly turned on its head by her brother. He is commanded by the king to build the grandest telescope in the land. Unfortunately for Lucretia, she is introduced to his majesty as her brother's assistant. Her nights spent on rooftops gazing at the stars are replaced by adventure and danger. In a race to build the Forty-foot telescope on time for the king, her misfortunes take their toll. When Lucretia finds herself held hostage at the Clockwork Court, the innocent country girl doesn't know who to trust. The lady astronomer finds court life to be more dangerous than she could have ever imagined. Even if her brothers manage to build the telescope on time, she might not live to earn her freedom. Warning: Read in a funny voice, with an edge madness! 1. A forty foot (telescope) would indeed be a marvel to witness the world above us with... Any other reasons as to why you would like to build one, Your Majesty? That's obvious my dear child, what what? To build a forty foot would be to proclaim one's greatness not only on the earth but extending to the stars so that they too might bow down. It would also make a rather marvellous setting for a picnic or somesuch, to which one could bring one's favoured subjects to see the might of their Majesty, don't you know. Nincompoops! However, well placed to build one's telescope. 3. What would be your royal opinion on feminism? And books? Feminism? What's that? Some newfangled concept? *royal letter writer explains the concept* *King blusters* Well, Mrs. King would have something to say about that one is sure, but as the Monarch one's aim is to treat one's royal subjects the same be they man or woman. Books? Yes, one is thinking of writing a book, about, perhaps, a forty foot telescope which soars to the skies above. Hilarity? I think not. One is not to be made fun of young lady. One is taken to understand that there is a monkey who knits. Frightfully handy, don't you know, to knit some socks for the regal tootsies - the castle does get devilish cold during the winter time. This book is a BRILLIANT, one of a kind read for all feminists! So, The Lady Astronomer. I got a copy from the author a while ago but for some reason, didn’t pick it up until fairly recently. And right now, I’m smacking myself on the head wondering why I didn’t! This book is unusual, to say the least. Whatever I expected from it, it certainly wasn’t what I got! Read the synopsis, I’m sure you understand what I’m talking about. Lucretia is the sister. The responsible, kind, hardworking, erratic one! She has a monoscope for an eye that was hurt years ago, a pet owl/ eagle and a lemur (who, by the way, are HILARIOUS- O’Dowd portrays them as humans, and their mood swings are a stroke of genius.) Her brothers get even stranger. Freddie is the childish one, who puts everybody in the king’s line of sight. Al, the other brother is a genius inventor, with a whole clockwork orchestra! 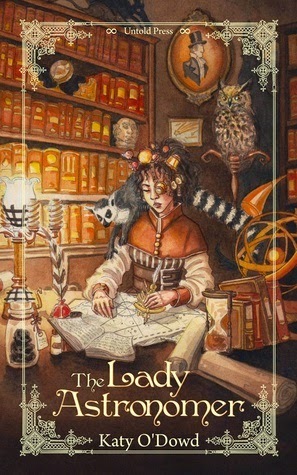 The silly sibling banter, the animals, the strange half names, a very erratic king and a bit of court backstabbing- The Lady Astronomer is a perfectly written book, in the most unusual of ways! Blurb Description: Fourteen-year old twins Minty and Jess are inseparable. Maybe they bicker now and then, even crave a bit of space once in a while. But they have a connection. Unbreakable. Steadfast. Nothing can gear them apart. Until a family trip to the coast puts their bond in jeopardy. As Minty tries to rescue her dog from drowning she ends up fighting for her life. Will Minty survive? If she doesn't, how will Jess cope without her? Only the stormy sea has the answer. --I’ve had a few spooky things happen to me in my lifetime. The most memorable is the incident – or incidents - that gave me the idea for the book. After my father died at the end of 2005 I began to smell a strange, yet comforting, aroma around my house. It was a combination of sugar and flour, the sweet distinctive scent that used to cling to my dad’s overalls when he worked as a baker-confectioner when I was a young child. In the months that followed I experienced this smell time and again. Then early one summer morning in 2006, just as the sun came up, I thought I sensed it again. It was perplexing. Unable to get back to sleep, I sat in the sunroom contemplating what was happening to me. Whilst doing this I heard my dog panting and put out my hand to stroke her. Until I remembered – my pet had died the month before. That's when Minty's story came to me. -- Roman or Greek Greco-Roman – or is that a cheat of an answer? -- Brothers or Sisters Sisters – but then I would say that because I have an awesome sister who’s also one of my closest friends. 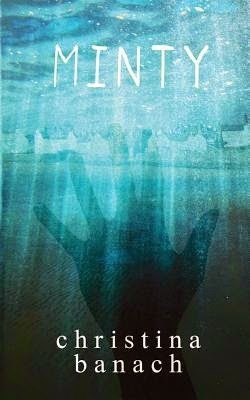 Minty is a contemporary young adult (YA) ghost story told from the point of view of the ghost. It’s a cross between The Lovely Bones (without the grim murder!) and Ghost, with elements of The Sixth Sense threaded through it too. I’m told that it’s a real weepy with heart and warmth at its core. It’s the story of fourteen-year-old twins Minty and Jess who are completely inseparable. But then a day trip to the coast puts their bond in jeopardy. As Minty tries to rescue her dog from drowning she ends up fighting for her life, desperate to survive. And survive she must - because if she doesn’t, how will Jess cope without her? It’s a book about friendship, loss, and coming to terms with consequences. Above all it’s about love and hope. Although I love all of my characters my favourite has to be Minty. Why? Because she’s feisty, brave, loyal and loving with a quick wit and a sarcastic sense of humour. There are several contenders for my favourite scene but, on balance, I reckon I’ll opt for the one where Minty enters Jess’s dream. For me it has a lovely ethereal quality, is full of hope and promise but is ultimately heart-wrenching. 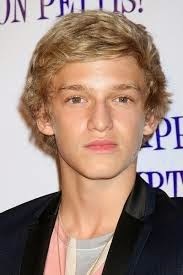 If Australian pop singer, Cody Simpson, grew his hair he would make a fantastic Jack. What a lot of fun it must be to have a twin- I have always wished, pined after, dreamed of having somebody that I could pull of look-alike stunts with (I must thank The Parent Trap for this) and pretty much everything that comes with having one! The Jess and Minty ‘show’- they feel each other’s pain, look like looking at yourself in the mirror (Or the front camera of your phone) literally finish each other’s sentences and even share the same dreams! Want a twin yet? Oh, and they’re best friends- of course they bicker, but who doesn’t? When I read Minty’s synopsis and glanced through certain reviews, I had some sliver idea of what I was picking up. But, as usual, my idea was wrong! Minty was different. Not different bad, and not entirely different good either (though it mostly was) - but just different. And I can honestly say- I liked it just fine that way! 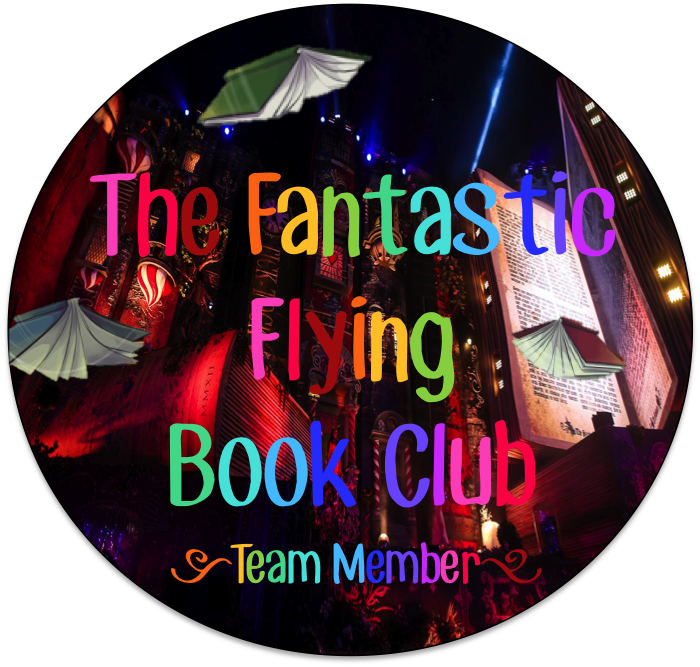 I absolutely loved the way the book opened, diving right into it! The very first beach scene was breath-taking, and had me hooked before I even realised it! I could feel the pain Minty felt, her fear, desperation- all of it just wafting out and hitting me through the pages! --The Roman Aspect (I know a bit about the Romans- Heroes of Olympus fan here) and I loved the way it was a constant regardless of what was going on. --The Dialogue- it was unusual, and a little strange when I began reading but it grew on me pretty fast! 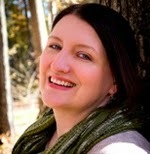 A Brilliant new voice to the YA genre! As the media swarm and the police close in, Dara and Cade risk everything to get closer. But will the truth about Cade’s past tear them apart? A YA Tarzan retelling. We’ll all heard of Tarzan, right? Or seen the movie at the very least? Now, how about a retelling? A boy that grew up in the forest (National Boone Park) believing that most other human beings were killed in a pandemic. A girl looking for something but quite can’t place her finger on. And you know the story of Tarzan from there, right? The book was intriguing. It had a subtle thing going for it- like the wording didn’t have to be much but the storyline made up for it! All the characters were pretty well balanced. Dara was quite fun: Looking at the small things in life, and even mushrooms, rather than the plain old and boring big picture. 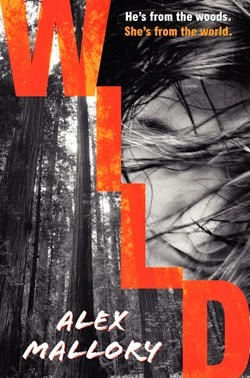 Wild was a fun book- one spot on with its synopsis! The ending was really good, too- the most realistic one it could be! A Book I will definitely be recommending!